The physical forces working to keep your vehicle stationary and against “drive” are numerous: Vehicle weight and mass, aerodynamic drag/wind resistance, inertia, and tire rolling resistance. Tire rolling resistance might be one of the last things that comes to mind in terms of vehicle energy expenditure, and it seems a small factor in the big picture. After all, the average American vehicle weighs around 4,000 lbs. before we and all of our stuff get on board. That’s a lot of heft to move. But overcoming the tire “rolling resistance coefficient” soaks up an estimated 4-7% of your vehicle’s energy depending on the driving conditions. Tire rolling resistance is also responsible for as much as 4% of the world’s carbon-dioxide emissions, according to Michelin. Why and how do tires pose so much resistance? It has to do with the interaction between the tires and road surface while the vehicle is in motion. Tires are almost always observed when stationary, and so we tend to think of them as unchanging, hard, fixed objects. In reality, tires are very animated and interactive during use. While under load and rolling, the tire tread necessarily deforms against the road surface and then returns to its static state. This tire contact patch deformation and road surface interaction is crucial to vehicle grip and performance (consider how much grip a rolling cement circle might contribute), but the process requires notable energy. Reducing the energy requirement where the tire meets and deforms against the road surface is the name of the game for low rolling resistance tires. By demanding less energy expenditure to “push” through the road surface interaction, the overall vehicle energy output is decreased, and fuel consumption increased. Reducing rolling resistance by 10% improves fuel economy 1-2%, according to the U.S. Energy Information Agency. Low rolling resistance tires are more relevant than ever, and only promise to be increasingly important as environmental restrictions (fuel economy standards) on vehicles are strengthened and fuel costs rise. Vehicle manufacturers are already leaning heavily on tire manufacturers to play a primary role in the achievement of modern fuel economy standards. Not to mention, the advent and growth of electric vehicles – tire rolling resistance has a direct influence on their range, practicality, and therefore consumer appeal. Low rolling resistance tires are definitely here to stay. They are, and will continue to be the focus of significant R&D by the major tire companies, and accordingly should continuously improve in the years to come. How is low rolling resistance achieved? To understand the influence of tire tread on rolling resistance it’s perhaps easiest to first recognize an inefficient design – off-road tires are a great example. Bulky tread blocks in combination with deep tread depth makes for a significant rolling resistance coefficient. As this type of tire rolls, significant energy is expended to overcome the large, individual tread blocks as they make contact, flex and deform against the road surface. The energy required to overcome this sort of tread design is akin to the extra energy needed to pedal a bicycle with underinflated tires. Low rolling resistance tire tread characteristics are the opposite. 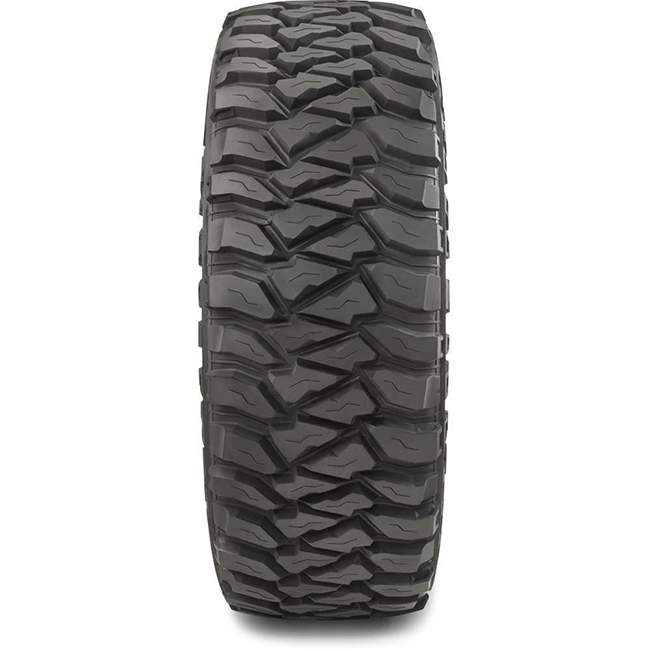 Instead of individualized tread blocks and deep tread depth designed to dig and claw through terrain, low rolling resistance tire tread tends to take on a more contiguous, connected design. The tread blocks don’t so much individually connect with the road surface, but more seamlessly roll as one interconnected unit. The composition of the tire tread can be adjusted for efficiency purposes. Modern tire compound advancements have allowed for harder, more energy efficient tread. The tire tread stays cooler when in use, less energy is lost as heat, and efficiency is gained. Lessening the deformation process is another way in which low rolling resistance can be achieved. Once again, consider the underinflated bicycle tire analogy: Pedaling through the deformation and expansion of the tires as they connect with the road surface is what requires so much energy. By stiffening the tire sidewall and reducing this effect, the energy requirement is reduced. No matter how efficient the tread design and tire construction, rolling resistance is unavoidable. Therefore, decreasing the tire footprint -- the overall surface area where the tire contacts the road -- is a straightforward method to reduce rolling resistance. For example, a 6" wide (155 mm) tire will produce 40% less rolling resistance than a 10" wide (255 mm) tire. This is why you’ll typically see narrower tires fitted to hybrid and electric vehicles as original equipment. “Unsprung” vehicle weight is weight that’s particularly influential on both vehicle handling dynamics and efficiency. The unsprung weight of a vehicle includes tires, wheels, brakes, and suspension. Reducing weight in this area can have tangible benefit on efficiency and fuel economy; far more influence than reducing a few pounds of “sprung” vehicle weight, e.g. in the cabin. Do low rolling resistance tires work? Do they save money? And what about rumors of the performance downsides of low rolling resistance tires? While it’s true that early low rolling resistance tires may have been pretty compromised in terms of other performances, that’s no longer the case. Tradeoffs on ride comfort, stopping distance, and handling are fast becoming a thing of the past. Low rolling resistance tire technology has recently made great strides in these areas. Low rolling resistance tires as OE replacement tires? While low rolling resistance tires are probably most known for original equipment applications on high fuel economy vehicles, there’s also the potential to fit low rolling resistance tires as aftermarket/OE replacement tires for many vehicles. Other than fuel efficient driving practices, low rolling resistance tires are just about the only way to infuse your vehicle with greater efficiency and fuel economy. 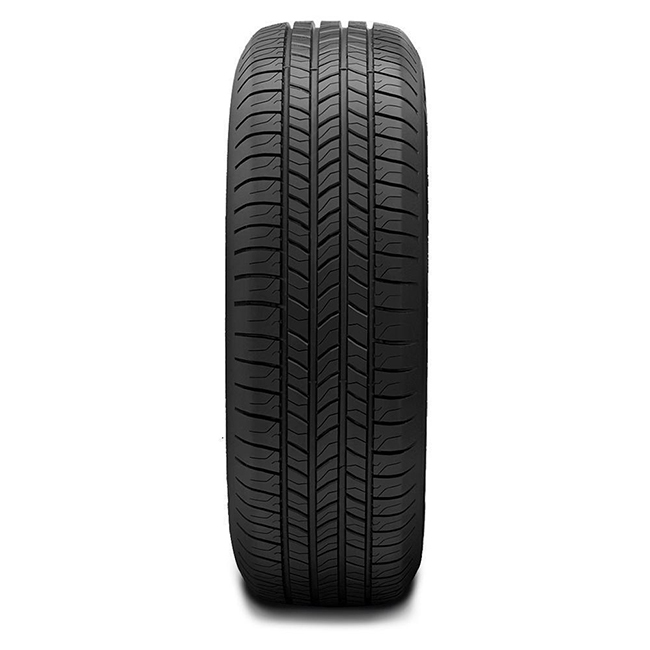 Start on the TireBuyer.com homepage by entering your vehicle or tire size(s) and specs, then browse the results for low rolling resistance product descriptions like this one for Michelin’s Energy Saver: "Equip your car with this tire, and get ready for better fuel efficiency and performance than ever before." As with any tire, is the key to maximizing tire life and minimizing rolling resistance. Always check your tires at least once a month when they’re cold and inflate them to the manufacturer’s recommended pressure. It’s amazing how much improperly inflated tires can affect rolling resistance and gas mileage. A tire with a recommended pressure of 35 psi that’s only inflated to 28 psi will increase its rolling resistance by 12.5%, putting a serious dent in your fuel budget, and definitely counteracting everything to be gained by low rolling resistance tire technology. The next time you need new tires, you might give serious consideration to low rolling resistance tires like the Continental ProContact ECOPlus. Low rolling resistance tires now offer good overall performance, and are proven to help you reduce your fuel consumption, costs, and lessen your environmental impact too – making it much easier to be both frugal and green.